Check back for more information as it is announced. 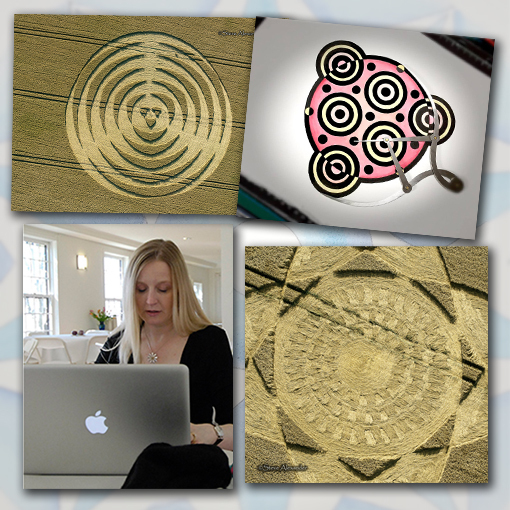 This is a 2-hour online webinar hosted by Karen Alexander exploring the crop circles of the 2019 season. This two hour presentation will look at the formations that have occurred during 2019, their symbolism, geometry and narrative. Filled with gorgeous photography, drawings and first-hand information, this will be the next best thing to being in the fields yourself this year! The webinar will take place online and will be live & interactive rather than pre-recorded. Our session format will include opportunity for questions at the end. Information on how to connect to the workshop will be sent to you via email upon booking. The crop circle phenomenon is so much more than just a series of pretty pictures with which to entertain ourselves each summer, its a living and breathing phenomenon full of meaning and portent. Behind the beauty and innovation in the designs lies a hidden link to the landscape, to our culture and to the deepest parts of who we are. For anyone who is willing to invest their time and themselves, the crop circles can be simply transformational. Our webinar will conducted live over the internet using an internet conferencing platform. You will need a PC, laptop or tablet and a good uninterrupted WiFi signal. Upon booking we will send you all the details of how to access the sessions and provide support for anyone having trouble connecting. Karen Alexander is a long time circles researcher (1990-present day) who has for many years brought a thoughtful and introspective touch to researching the crop circles. A respected and influential speaker and writer, her work seamlessly fuses sacred art, spirituality, psychology and philosophy – the scholarly and the intuitive. Karen is perhaps best known as the writer behind the annually published Crop Circle Year Books (1999 – 2018) and Crop Circles: Signs, Wonders & Mysteries (Arcturus Books, 2006 & updated in 2009 and 2013). Her hand drawn images and paintings of the crop circles are widely admired and much sought after.